Our experiment PAPELL will fly to the ISS aboard SpaceX CRS-15 on Friday, June 29th, from the Kennedy Space Center, Florida. We invite everyone interested in space to our launch-event celebrating the safe flight. 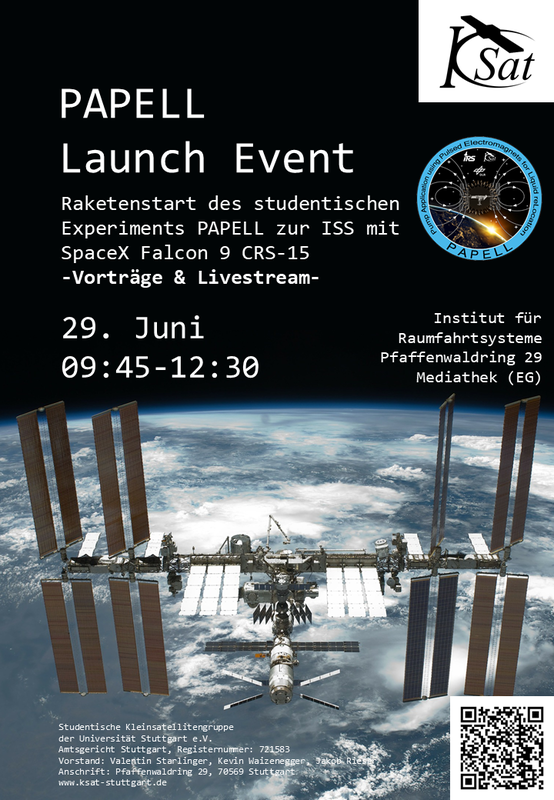 There will be presentations on our experiment as well as on others, and a livestream of the SpaceX launch. We start at 9:45 and finish around 12:30 at the Institut für Raumfahrtsysteme at Pfaffenwaldring 29.